It has been a very busy month of focusing on Star Traders 2, so for that reason I am lagging behind a bit on the Patreon wallpaper. I am hoping to get back on schedule in May. 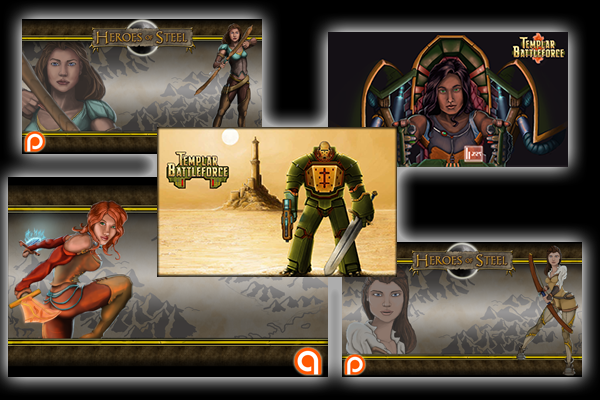 This month we've got the cover imagery of our upcoming fiction in the world of Heroes of Steel. Releasing soon, Bryan Sirios' The Reclamation will launch with its first piece, Episode 1: Dark of Day. I can't wait to share the new story as it goes live! 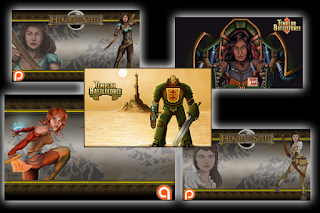 I won't spoil the story as to how an Orcin shamaness and a human end up fighting back-to-back -- but here it is, your April wallpaper! Join our Patreon for as low as $1 a month for access to all monthly wallpapers and other awesome digital rewards. Support your game developers on our Patreon!